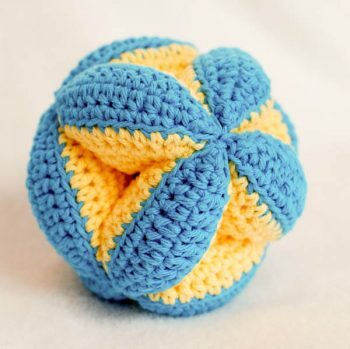 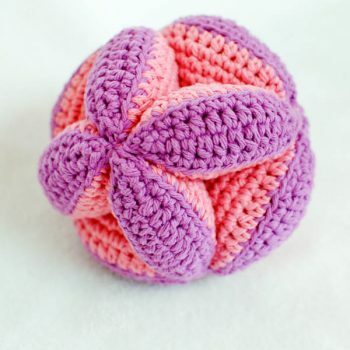 What baby wouldn’t love this clutch ball! 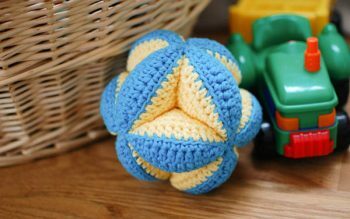 The multi-color and dimensional design keeps baby’s interest, while the the angular design also allows little hands to easily hold the ball. 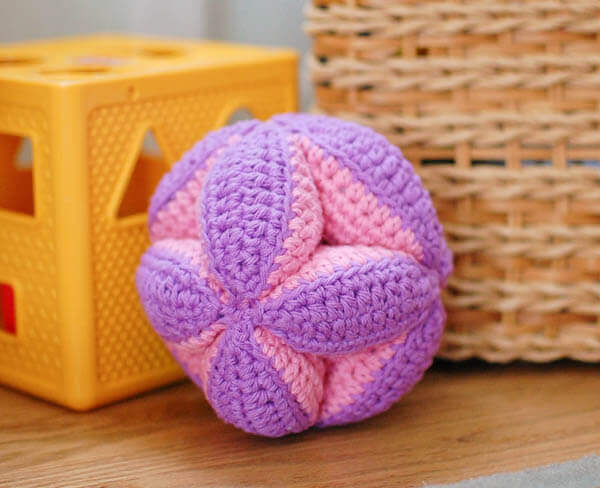 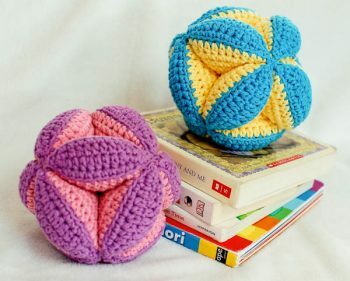 This pattern is perfect to make for a baby or shower gift, or just a fun weekend project to make for your own little one. The easy-to-follow pattern includes stitch counts at the end of each round for ease of use and color photos to guide you through the process. Written in American English according to Yarn Council standards and guidelines.